Investors who overlook women-led startups are missing out on significant business opportunities. This was one of the themes discussed at the Women Funding Women event, part of a global series, hosted by the Dell Women’s Entrepreneur Network (DWEN) in association with Springboard Enterprises, in Dublin this week. 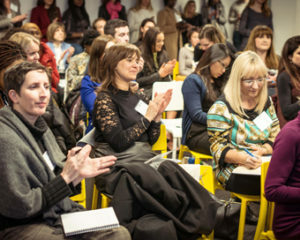 The event, showcasing how female founders can overcome funding barriers to achieve scale-up success, was attended by almost 150 female entrepreneurs, venture capitalists and business leaders. 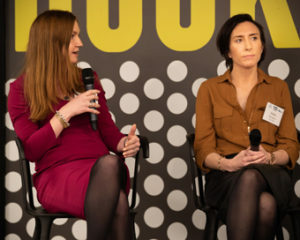 Among the speakers were Aisling Keegan (main picture), Vice President and General Manager of Dell EMC Ireland and Northern Ireland, and WMB Businesswoman of the Year 2018; Niamh Bushnell, CEO and founder of TechIreland; and Aisling Teillard, of Tandem HR, a WMB Award finalist in 2017. 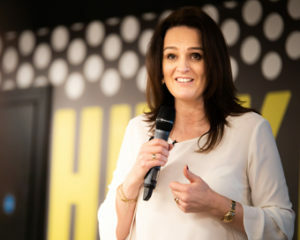 Ingrid Devin, Director of Dell Women’s Entrepreneur Network, told the event that there is “huge opportunity” to foster a new generation of female business leaders. Women’s entrepreneurship rates rose globally by 13% in 2017, according to GEM. In the same year, 9,800 women set up new businesses in Ireland. However, despite a vibrant startup scene here, female founders are lagging behind men when it comes to financial backing. The Dell Women Entrepreneur Cities Index ranked Dublin 34th out of a total of 50 cities in 2018, with access to capital identified as one of the main barriers to the growth of women-led businesses. 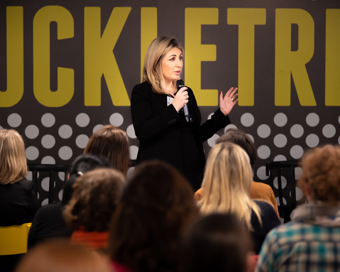 TechIreland’s €100M Campaign, which tracked female founders or co-founders building a product company in Ireland who secured funding in 2018, found female founder companies receive 100% less funding than their male counterparts; €1.1million versus €2.2million. However, research consistently shows that gender diversity in the founding team is good for business with women-led startups more profitable than those with men-only founding teams. Addressing the event, Niamh Bushnell said supporting and investing in female founders is not just a “nice to have” but an often overlooked investment opportunity. She referred to recent research by the Boston Consulting Group and MassChallenge which found that venture capital funds in the United States could have made an additional $85m over five years if they’d invested equally in female and male-founded start-ups. Despite previous growth in female founder venture capital funding, progress in the US stalled last year: 2018’s 2.2% was the same as 2017, according to data from PitchBook, just $1.9billion of a total of $85bn. Where women did secure funding, the average size of the pot was significantly smaller: in 2017 just over $5 million compared with just under $12 million for a male-led company. She co-founded Springboard Enterprises with Kay Koplovitz in 2000 following their experience leading a US government commission tasked with improving access to capital for female entrepreneurs. Since then they have connected thousands of women entrepreneurs with investors. One way of fostering a culture of sisterhood where women investors are inspired to support companies owned by women is by “demystifying the process by which the transaction takes place and engaging more women in groups that invest together,” Amy Millman suggested. Using this approach, Amy said Springboard Enterprises has seen the numbers of women investors surge globally. Initiatives that actively encourage women to invest in women such as HBAN’s, (Halo Business Angel Network) goal of increasing its women angels by 50 over three years, can drive change too. Anita Finnegan, founder and CEO of Nova Leah, and a WMB award finalist in 2017 told attendees that partnerships with investors including Kernel Capital have been key to her company’s success to date. She hopes that her story can encourage other budding businesswomen to seek out investment opportunities. 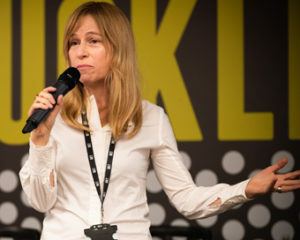 Niamh Bushnell, Founder & CEO of TechIreland. Aisling Teillard, Tandem HR & Anita Finnegan, Nova Leah. Ingrid Devin, Director of Dell Women’s Entrepreneur Network. Attendees at the Women Funding Women event, part of a global series, hosted by Dell Women’s Entrepreneur Network (DWEN).